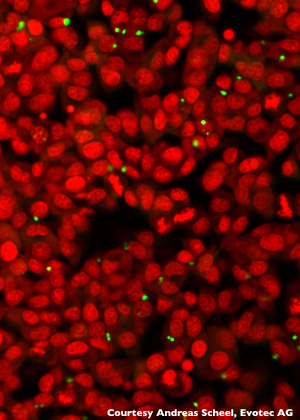 Stained your Cells with DAPI? We've got some great tools to help you save costs and run more efficiently. We offer great deals on bulk reagents to make your screening programmes highly cost-effective. Make sure your team is equipped with the right tools for the job. We find that DRAQ5™ is the most robust DNA dye we have ever used. DRAQ7™ has enabled us to do experiments that were not otherwise possible before. Not only is it a much cleaner signal than other viability dyes, but the fact that it is non-toxic has enabled us to do time courses with the same samples. We found that CyGEL™ was suitable for complete immobilisation of procyclic stage L. major and T. brucei for 90 minutes without affecting cell viability. 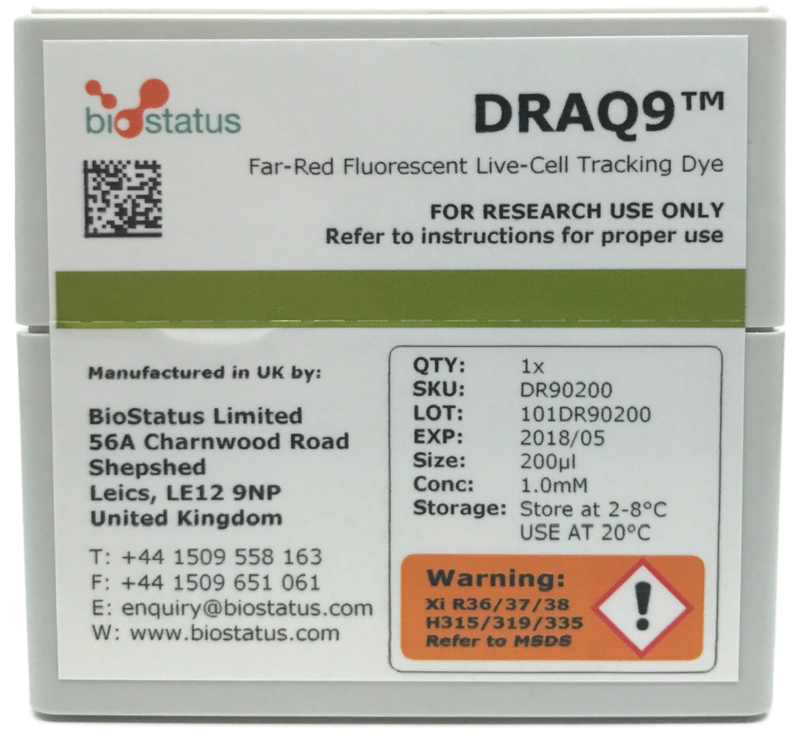 DRAQ7™ is a far-red fluorescent DNA dye that ONLY stains the nuclei in DEAD and permeabilized cells. 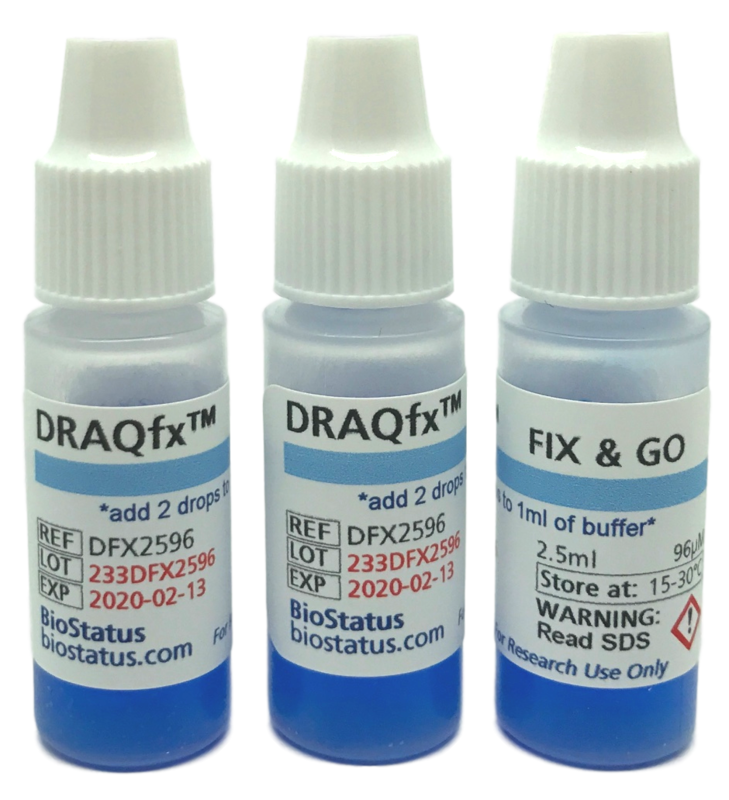 DRAQ7™ is an ideal viability dye to report cell health over extended time periods. We ship products daily to over 40 countries worldwide. Order direct or through one of our channel Partners. Specially selected companies who stock and distribute BioStatus products for your convenience. Find out more here.